These stones look very nice and fancy, they look like parts off of a real piece of jewelry. 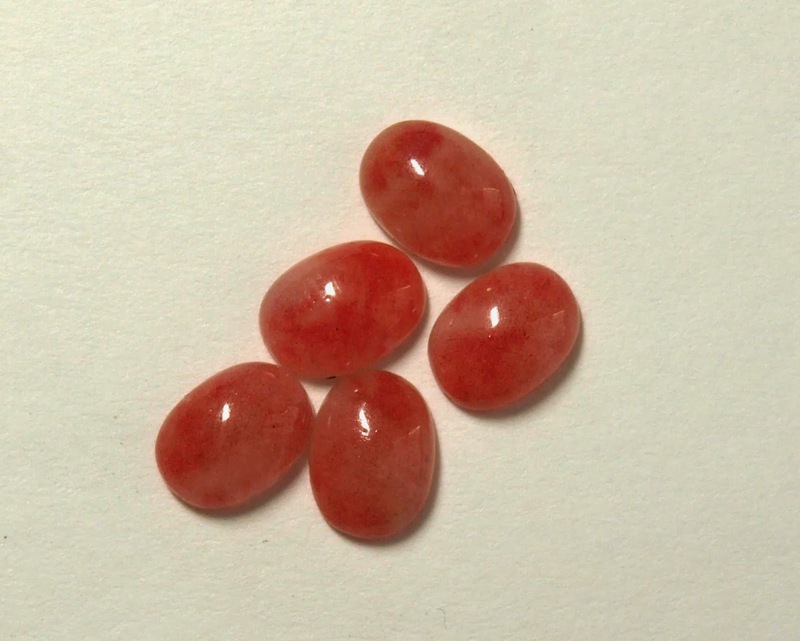 However, the bottom of these stones are flat and thus does not contour against the curves of the nails at all. I wanted to place this on my ring finger but the curvature of my ring fingernail would not allow it so I ended up placing it on my middle finger. In addition, the flat bottom also impeded with the wear of them as edges of things will get caught between the space underneath the stone and above the nails. Hence, this manicure is not at all practical. But hey it looks pretty cool right? I decorated along the edges of the stone with a row of gold "caviar" steel ball beads and that complemented the stone very well. 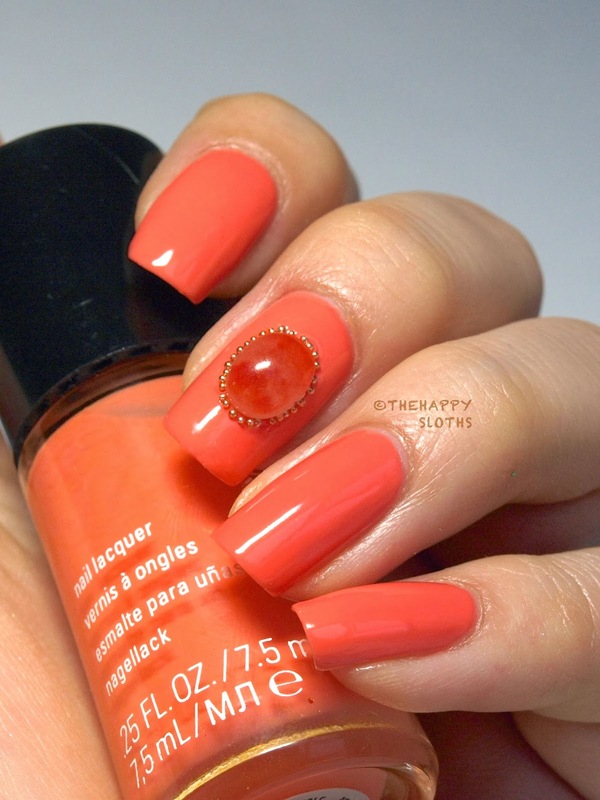 The base color I used is called "Careless Coral" from Mary Kay. 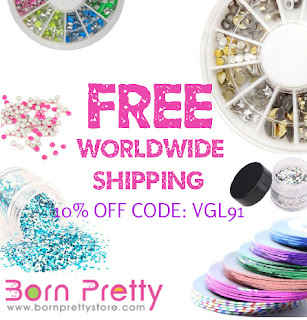 If you are interested in this product, click on the banner below, to get 10% off of your Born Pretty Store purchase, use the code VGL91. So what do y'all think? A little too much or bring it on? Hehe, let me know in the comments below!